The theatre ariginally was the Fairlane, then the Ford-Telegraph, then the Ford-Heights, then the Ford-Tel. A friend of mine worked at the Movies at Fairlane at Fairlane Mall and told me that numerous patrons confused the two theatres, showing up for movies at the wrong times at the wrong theatre. As UA, who I believe operated the mall-based Movies at. theatres, labeled all their theatres with the name of the mall, it behooved the Fairlane to change its name. But FOUR names?. 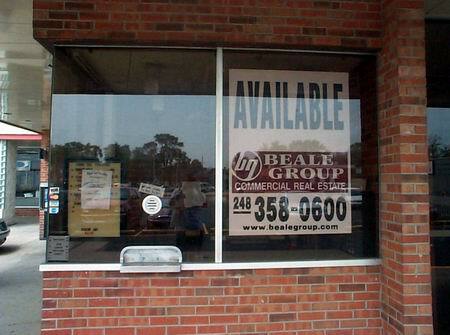 The thrift store that occupied the theater has gone out of business. 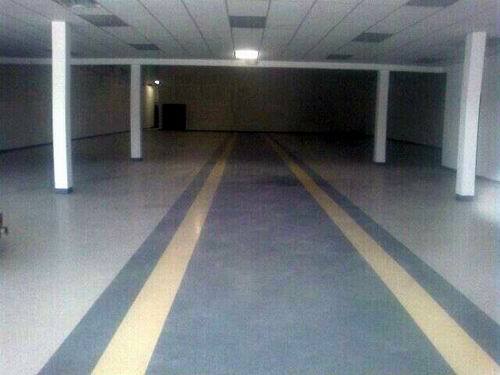 The building is currently empty. I will miss this theater I used to go every Saturday with my older sister when I was growing up, and we had some really fun times then. I wish I had the money to buy the place, I'd turn it into another cheap flix place again. Before the Fairlane Shopping Mall opened in 74 or 75 there was a 'Fairlane' theatre on Ford Road and Telegraph. That place was so crowded on weekends. The first movie that I remember seeing there was 'If You Want It, Come and Get it' starring Ringo Star. I was on a double date in 1970 when we saw that. Even after I got married, my Wife and myself would go there on Wednesday for the dollar matinees. 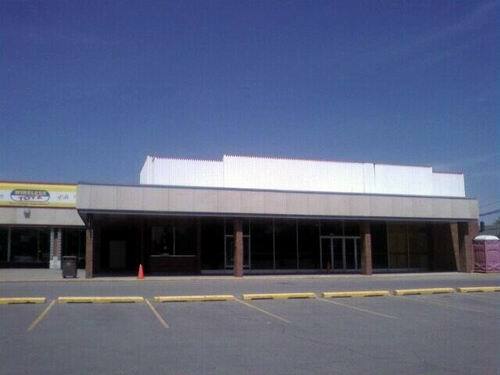 I worked midnights at the rouge plant and we made it a point to go to the movies on Wednesday afternoon. We saw the original 'Taking of Pelham 123 there. 'Pappion' was another biggy that I saw there. on a premarried date. What I started to say was. after Fairlane Mall opened it's theatre there must have been a conflict of names or something because the 'Fairlane Theatre' on Ford and Telegraph changed their name. I really don't know what the name became. Does anybody else remember?. 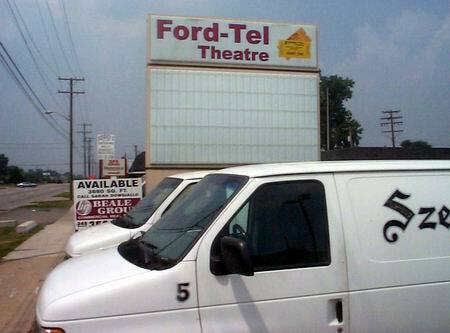 The Ford-Tel was one of two dollar shows that ran movies in the Dearborn-Dearborn Heights area through the early part of the 2000''s (the other was the Westborn Twin). Both theaters had 2 screens and modest lobbies, for the most part. The Ford-Tel was interesting in that you could, basically, set your watch by the showtimes. If memory serves there were matinees for kids on Saturday at 1 and 3 with (usually) a G-rated move and a PG to PG-13 move as the other feature in the other theater. At night, the features changed to a more adult oriented audience with a couple of R-rated titles at 7 and 9 (or the PG-13 movie would show throughout the day, if it was very popular) in the theaters. The last time I remember going here was for Boogie Nights in the late 90''s, and it was still a strong draw with a packed theater. I am not sure if they still ran kids movies in the day at this point, but could guess they may have since they were still promoting them, if memory serves. I never thought too much of this place, until I found it was gone, and now realize how nice it was to be able to see a movie for a buck. Hell, for ten bucks, you could go see 2 movies, get 2 tubs of popcorn and a couple sodas. If I knew then what I know now, I would spend almost every Saturday at the Ford-Tel. regardless of what was showing!. Ford -Tel theater site wad remodeled and reopened as the American Council of the Blind Thrift Store. It has been there for about a year or so. The theaters have been converted into an American Council for the Blind Thrifty Store. The Ford-Tel is closed, at least for the moment. There was a management change in 2002, and the new marquees came in 2003 or 2004. Note that I said marquees, as in plural. 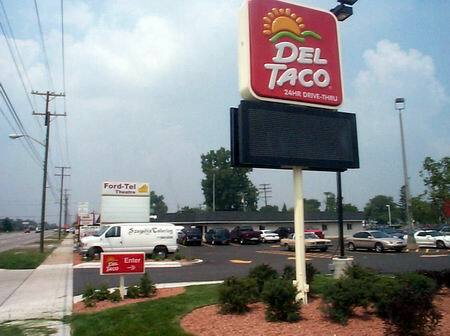 They have one along Telegraph and, for the first time, they have one along Ford Road as well. The one along Telegraph replaced the previous marquee, of which you have pictures. The old marquee was beaten up and had plastic panels missing; it was becoming an eyesore, and a new marquee was a very good idea. It is interresting to note that it took almost 25 years for the theatre to finally put a marquee along Ford Road. I realize that Telegraph is a busy street, but Ford Road is nothing to sneeze at. In November 2004, the Ford-Tel went dark. There was a letter in the window which said that an electrical surge had knocked out the projectors, and that replacement parts were on order. The theatre did not reopen. 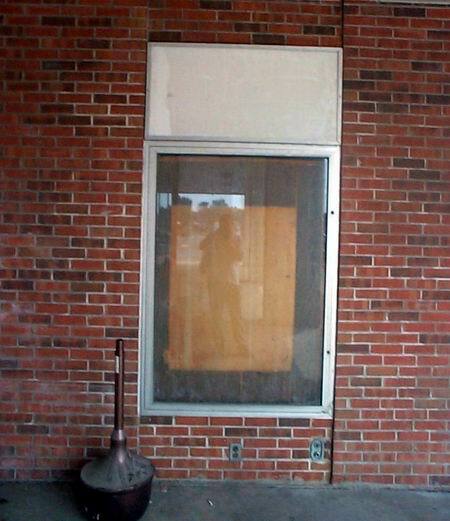 By March, the web site was no longer there, and in late May, 2005, the signs went up inside the theatre, saying that the building was for rent. As of this writing, it is still available. I drive by this place on the way to work occasionally. It looks like the theatre has closed. The original marquee was taken down sometime in 2004 and replaced with a newer, smaller marquee sometime after that. A couple of the last films listed on this newer marquee were: The Forgotten & The Seed of Chuck. They were listed there for the last couple of months, which is when I start to suspect that they had shut down. The title were only recently taken down completely. 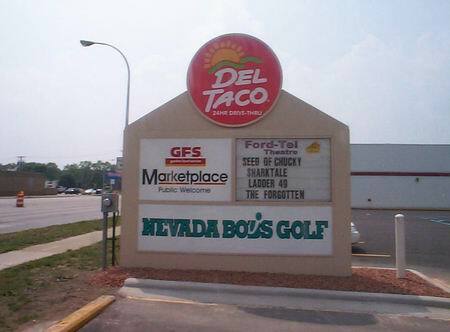 A banner for the new Del Taco they are buliding in front of the mall is now hung over the marquee. I dont know why they would have invested in a new marquee only to close a few months later!. The Ford-Tel has underwent some changes in name and ownership over the years, but has bucked the trend and remains open as a second-run house. 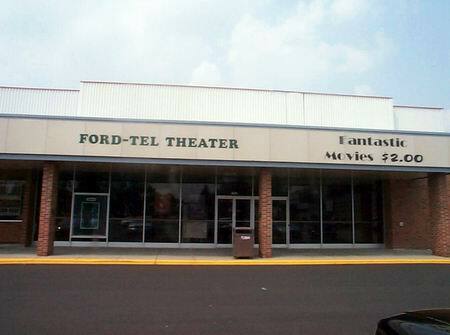 Most theatres based in shopping plaza's were forced out by the larger multi-plexes that are everywhere today, but not the Ford-Tel. The marquee is definitely a throwback to the 70's at least - nice.